Have you ever tried expert Sidcup house clearance services? Are you sick and tired of looking at that junk pile? Have you got some old furniture that you want cleared away but don’t know how? Worry no more! Simply give the house clearance professionals in Sidcup DA14 a call on 020 8610 9182. 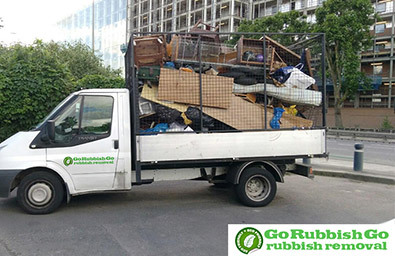 Here at Go Rubbish Go we are experienced and professional at removing unwanted junk from your home. You will be surprised at just how easy it is to reclaim your home from clutter and junk with us. There is no better time to get on top of your house clearance needs in Sidcup so don’t hesitate to get in touch. If it is money that has been worrying you, we understand completely. 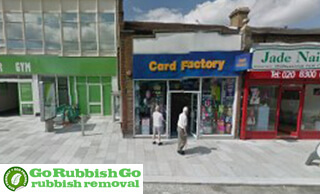 This is why at Go Rubbish Go we ensure we have budget-friendly prices that are accessible to everyone around Sidcup DA15. We don’t want anyone to miss out on top quality DA14 house clearance services just because of finances. Call us today on 020 8610 9182 and find out just how affordable house clearance Sidcup can be! Feel free to talk to us about all things money related and we will find a package that works for you and your budget. Hire A Unique House Clearance Service In Sidcup DA14? There are some basic things that add up to something big and make us stand out from the rest. Our positive work ethic and environmentally friendly approach to house clearance make us the best in Sidcup. We have a commitment to making our clients smile as we clear the junk away from homes. 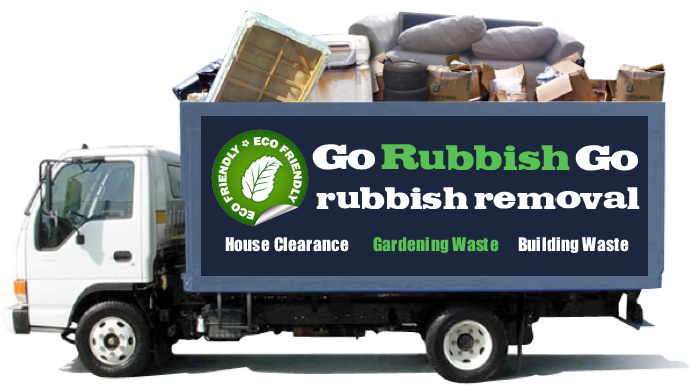 We also approach DA14 house clearance Sidcup with an environmentally friendly policy. This means that we use sustainable means and recycling where possible to reduce our carbon footprint. All of this adds up to unbeatable service for your clearance needs. Not only are we extremely reliable and affordable, we are also extremely efficient. 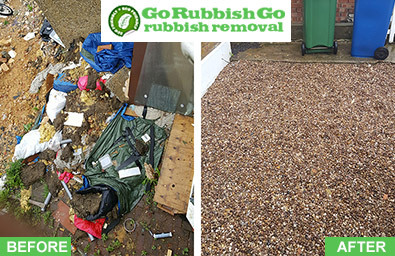 We don’t want to waste any time in getting your house cleared and reaching its full potential once more. This means that when you call us in the morning, we can be at your house in the afternoon. 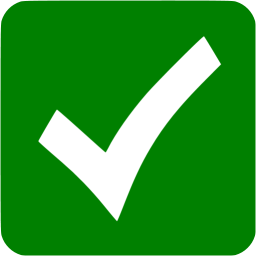 We work to any schedule and are available when it suits you. This makes us the most reliable house clearance service around Sidcup. Find out today just how efficient house clearance DA14 can truly be! We certainly won’t disappoint you when we arrive right on time like we said we would. Your mess may seem like a stress, but for us it’s simple. We have plenty of experience dealing with house clearance in Sidcup, DA14 so we can tackle any task and make it look like child’s play. Don’t be surprised if you’re left standing in awe at how easy our professionals make it look when they clear out your house in Sidcup DA14. This is all part of the experience with our house clearance services. We aim to please and make clearing a house a breeze! Book now and take advantage of our expertise! The main thing that people look for in house clearance services is professionalism. This is at the forefront of our business around Sidcup DA15. Our team members are professionally trained by people who have years of experience in the Sidcup house clearance DA14 industry. We believe in growth and development for our business and are always looking for ways to improve. This means that we listen to and value client feedback. This is the best way for us to continually improve our business and make your life easy. Our Sidcup, DA15 house clearance services won’t disappoint you and you are likely to recommend us to friends and family after we’ve thoroughly cleared out your house. Sidcup can be found in South East London. This suburban district in the London Borough of Bexley is around 11 miles from Charing Cross. A small part of Sidcup belongs to the Royal Borough of Greenwich. The neighbouring boroughs are Bromley and Greenwich. Sidcup has a beautiful mixture of Victorian and Edwardian properties as well as typical 1930s suburban houses. Sidcup has a large sporting and music culture, with a sports club and many live music venues in the main street. The area is home to Sidcup Place, Frognal House and The Hollies.